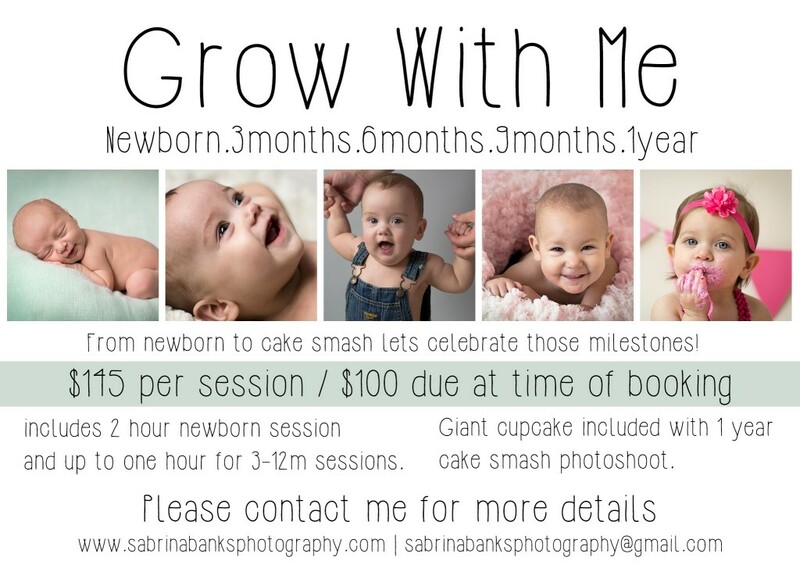 So excited to announce the Grow With Me year long photography package! The package includes newborn, 3 month, 6 month, 9 month and 1 year photo sessions for a discounted price! Please message me or email me (sabrinabanksphotography@gmail.com) for details. I can’t wait to see these babies grow! NOTE: if you have already had your newborn session or have already scheduled your newborn session I can work with you, just send me a message and I’ll let you know how you can be included in the program.